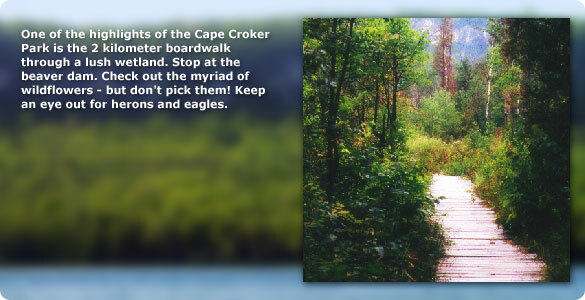 Cape Croker Park has some of the Peninsula's most beautiful land forms and wildlife within its boundaries. Cliffs and fields, marshes and the clean waters of Georgian Bay make the parks atmosphere enjoyable for not only the serious wildlife expert but for those who just want to relax and enjoy some solitude. Below is a small sample and	description of scenery here at the Park.